A business without the right leads is very much like a car without an engine; no matter what kind of fuel you put into it, it’s not going anywhere fast. However, generating leads isn’t easy and trying to acquire leads in the B2B space makes it all that much more difficult. Before you can start to acquire business leads and turn them into customers, you’ll need to come up with an effective, brand-consistent strategy. Effective B2B lead generation strategies begin with drilling down into exactly the types of leads that are most likely to convert into paying customers. That means filtering out prospects based on your resources and goals, and narrowing your attack. With a broadsword-strategy, you can swing around indiscriminately and grab leads from all over. Casting a wide net may yield you some worthwhile leads, but you'll also pull in a ton of junk leads, too. And to top that off, your results will be ineffective if your lead gen campaign is being measured on a CPA/CPL basis. With CPL or CPA as your metric, a lead is only as valuable as the prospect, that prospect is only as valuable as the customer it becomes, and that customer is only as valuable as the revenue they bring to the bottom line, so if you can’t find the qualified leads—the leads that are most likely to ultimately convert into something profitable—then you’re just wasting money. Instead, drop the sword and pick up the scalpel for B2B leads. 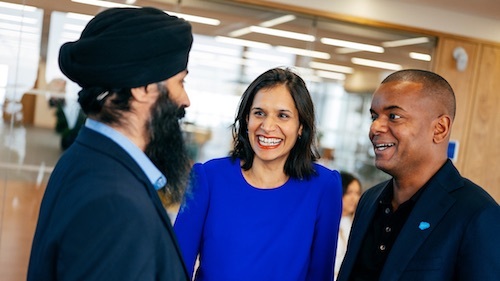 Start by asking: Who are our customers? What are their common interests? Are our prospects mostly online or off? If that information is available, then your approach can be tightly focused to define your objective and point you directly to your prospects. Once you've defined what an unqualified prospect is and identified your targets, let’s get into how you'll capture your prospects' attention. Traditionally, marketing has been classified as outbound marketing -- television commercials, print advertisements, internet banners, email mailing lists, and good old fashion cold-calling. These outbound lead generating techniques cast a very wide net that typically connects with hundreds of thousands, or even millions of prospects. Outbound marketing tends to use the broadsword approach. I’m not saying that outbound marketing doesn’t work; it does, otherwise we wouldn't even bother talking about it. However, it not as effective as inbound marketing. Not only are the leads less qualified, but outbound is also more expensive. 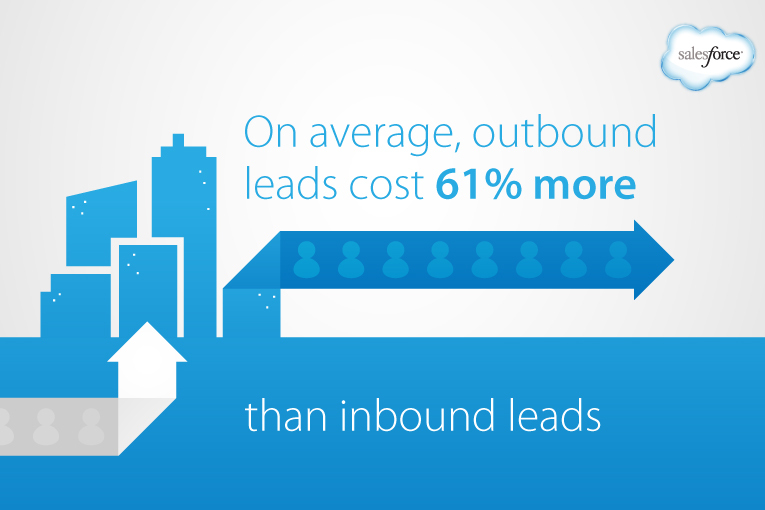 In fact, outbound leads cost on average 61% more than inbound ones. Inbound marketing, when done well, meets your customers where they want to be. 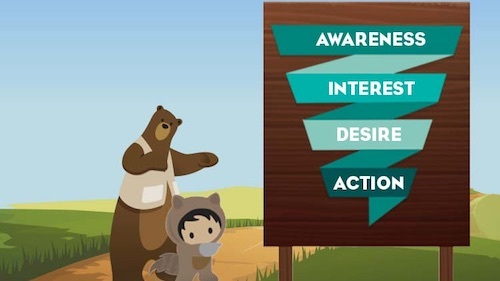 Inbound markerting focuses on creating quality content that aligns with what your customers are most interested in so they're drawn towards your offers because they want to learn more. And because the offers are relevant, the leads that are generated are more eager and willing to become paying customers. When prospects feel as though your company is an expert in the industry, or has something worthwhile to offer, they see you as someone who wants to help, rather than a salesman that just wants to make a sale. 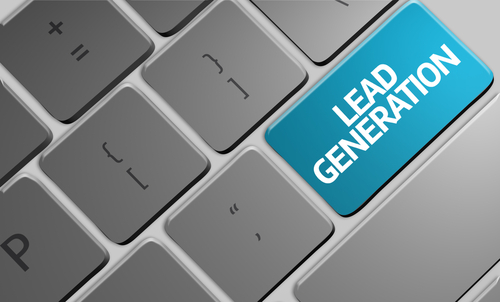 Sometimes generating leads is about keeping track of all of the pertinent data surrounding those leads. Customers need to know that they have a relationship with you and if you’re constantly losing track of their information or their info isn't updated, then it sends out a clear message to your prospective leads that you don’t really care about them. 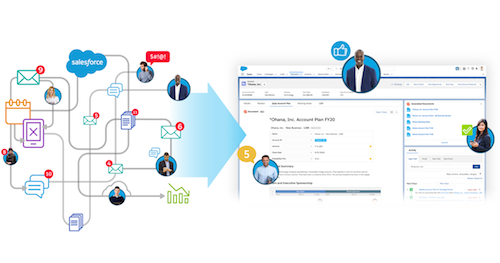 Investing in a proper customer relationship management (CRM) system will allow you to gather, store, analyze, and track the most important data that can help you personalize the customer experience. And CRM doesn’t stop there. CRM helps generate and convert leads by sifting through massive amounts of raw prospect data to locate the most promising prospects. After sorting through all that data, a good CRM can also be used to gain meaningful customer insight. With this business intelligence in hand, you can quickly and inexpensively disseminate relevant information to a wider range of specific, potential customers. If you have the budget for a broadsword swing, ensure you are coupling it with a CRM. With access to a lead management tool, you can both control the range of your swing, while still benefitting from the accuracy of the scalpel—in other words, it’s the best of both worlds. At the heart of inbound lead generation is the humble blog. If your business scoffs at or doesn't allot dedicated resources to your company blog, yet are trying to obtain quality leads, then understand that blogging has the potential to drive a significant amount of prospects into your sales funnel. Did you know that 23% of total Internet usage time is devoted to social networks or blogs, which means that a large chunk of users are obtaining information and knowldge via blogs. A company blog allows you to not only draw inbound traffic to your site and your business by offering useful and interesting content, while providing solutions, but it can also give your organization added credibility within your industry. A blog connects to customers and prospects in a less corporate manner. The company blog allows you to stretch beyond the landing pages of your core website; expanding your content past product features, business speak, and the boring FAQ page. If your company is a leader in its industry, your blog can be the bullhorn for your company's evangelists and leaders to share their unique perspectives and opinions on specific topics you could never espouse on the pricing page. And at the end of each blog post? An offer, newsletter signup, or form that allows the reader to learn more if their interest has been piqued. Blog posts are wonderful and they absolutely work as a method for generating leads. However, they don’t work for everyone.There are those who are less interested in investing the time and effort into digesting a few hundred words worth of advice. Thankfully, there are other ways of reaching these individuals. Human beings are very visual animals and what we see (as in images and videos) is actually processed 60,000 times faster than what we read. So, incorporating a visual element into your content is a sure-fire way to increase the draw of your inbound strategy. Informative, useful, and shareable infographics are amazingly popular right now, and are more accessible and less time-consuming than videos. Of course, that’s not to say that a quality “infotaining” video posted to YouTube (with a link back to your site, of course) can’t also quickly pay for itself in increased interest and traffic. If you can create something that ends up going viral, you’ll find that it’s well worth your time. Social media has become a legitimate lead generation channel with ad formats having matured beyond just engagement metrics. With Twitter cards, Facebook’s objective-based advertising, and LinkedIn's sponsored ads, social ads have come a long way in cementing a spot in revenue-based lead generation campaigns. Facebook offers a variety of ad products to generate leads from targeted advertising, events, tabs, or organic posts. Twitter’s Lead Generation Cards are a two-click solution to social lead generation. Twitter Cards are displayed as promoted tweets would, but when someone clicks on the image, the card expands to reveal an offer or sign-up form that is auto-populated with the user’s name, email address, and Twitter handle. In early testing of tweets with images, visual tweets showed an 55% increase in leads as opposed to normal 140-character text-only tweets. 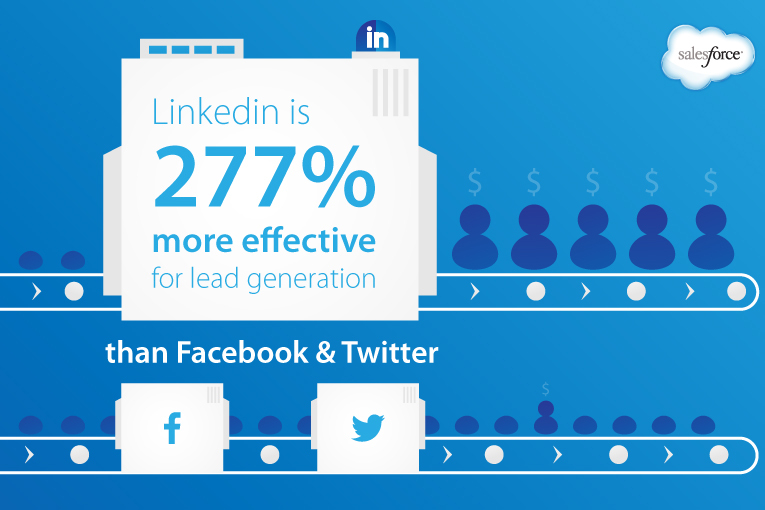 Don't forget about LinkedIn when looking at social media as a way to increase B2B leads. Despite being demoted to the "other social network" category, LinkedIn may prove to be the best social media network to acquire leads via social media. LinkedIn certainly lags behind Twitter and Facebook in recognition and users, but because LinkedIn is a professional social network, users aren't turned off by business-related marketing on their feed. The mindset and expectations of the user is entirely different when compared to consumer-focused networks and that's a good thing when it comes to B2B leads. With product offerings such as Lead Collection, direct ads, and sponsored updates, LinkedIn has shown that their ad products can be 277% more effective at generating leads than Facebook or Twitter, according to a study by Wishpond. As you might have gathered by now, a successful lead-generating strategy isn’t just about building a great product that offers value. A good lead generation strategy consistently puts out content and offers that provide real value to the prospective lead. It takes patience, too, for prospects may not be prospects today, but with nurturing, optimizing and guidance, they can ultimately become paying customers. The secret here is to continually build unique, quality content that has real value to prospects that you want to connect to. And if the prospect isn't ready to sign up yet, continuing to build and share that quality content over time will give you an edge over less-patient competitors. There are quicker and dirtier lead generation techniques that can be used to bring in potential customers right now, but in the long run, these won’t be as profitable as those leads that you draw in through the targeted and steady process of effective inbound marketing and lead nurturing. With your lead generation, keep these six techniques (and the various points and principles they represent) in mind. That said, the lead generation methods and tactics you put forth are not nearly as important as how well you target your potential customers. The better focused your lead gen campaign is to your prospects, the likelier they'll find relevant content they want, and that will yield higher odds that they'll convert into paying customers. However you end up generating leads, be it through direct mail marketing, telemarketing, email, social media, or any other technique, the more clearly you can identify and pursue your ideal client, the sharper your razor-edged focus is, the more successful your strategy — and ultimately your business — will be.